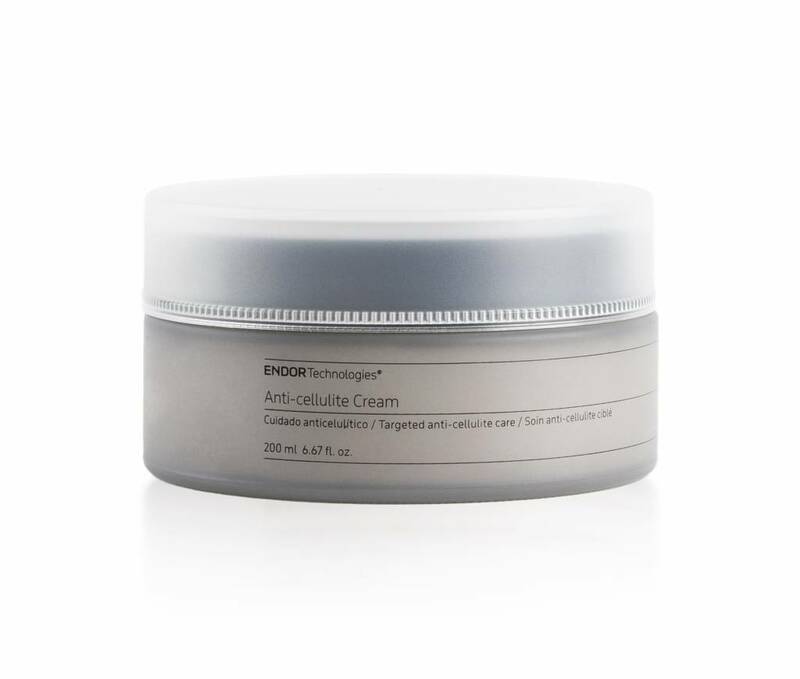 Anti-cellulite cream visibly reduces the appearance of cellulite and improves skin firmness. A clinical study under medical supervision demonstrates a reduction of the appearance of cellulite of 31% after 28 days of treatment while visibly firming the skin up to 170%. Formulated for all skin types. Apply Anti-cellulite Cream morning and night following the instructions shown below. Incompatibilities: No incompatibility has been described for any product in this range. The Endor Cream can be combined with any cosmetic product: treatment, beauty, cleansing, solar protector, make up or fragrance. Endor Technologies patented gold particles with hyaluronic acid technology. Shea butter which nourishes and moisturizes the skin. Free of harmful substances: all our products are free of parabens, sensitive preservers, artifical colouring emulsifiers and aggressive surfactants, pesticides mutagenic or reprotoxic substances, skin irritating alcohols, sulphides, formaldehydes, nitrosamines, butylated hydroxytoluene, methylisothiazolinone and others. None of our products is tested in animals.